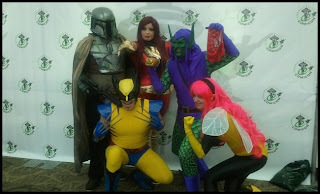 The Emerald City Comicon is upon us once again and this time it is bigger and better than ever! No, this isn't a sales pitch, this is a statement of fact and with everything going on it can be a very difficult task trying to figure out how to make the most of your time. 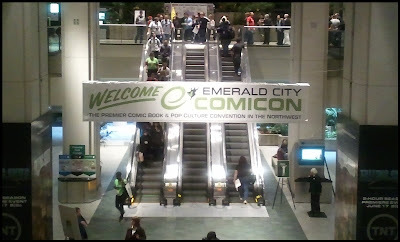 If you have never been to the Emerald City Comicon, it can be quite intimidating, especially if you only have one day to take everything in. After scouring the entire list of events, I have come up with what I feel to be the best options available over the course of all three days so you can maximize your time spent at the convention center. Keep in mind, this is a small sample of everything that's going on so be sure to check out the full schedule on the ECCC website. 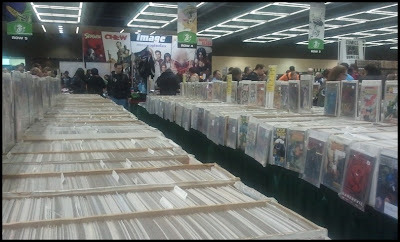 Before we get down to the specifics, you are going to want to set aside time to hit the show floor where you will find literally hundreds of booths packed with comic books (duh! 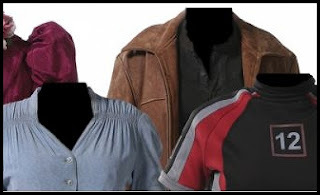 ), memorabilia, clothing, artwork, and just about anything else you could ever think of. 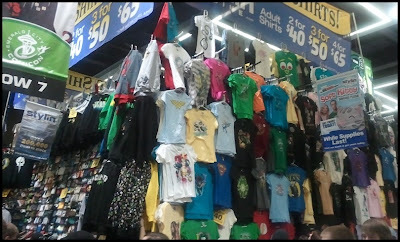 This is also the place where you will find all the artists doing their thing and selling their products as well. Make sure you check them out and support as many as you can! 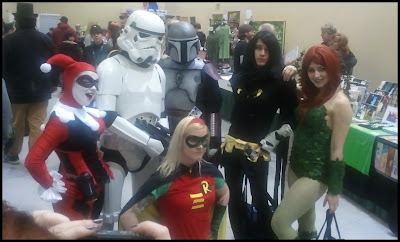 Of course, what would a Comicon be without costumes! 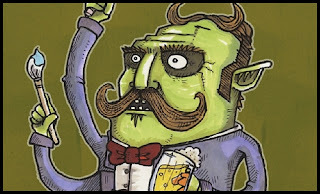 Saturday is the best day to see the most and best costumes as there is a costume contest at the end of the day's festivities. This is always one of the highlights of the entire event so check this out if you can. A fun game you can play while walking the show floor is counting how many of the same character you can spot throughout the day. The costumed characters are more than happy to pose for photos, so don't be shy! Now that you have a basic idea of what to expect on the show floor, its time to dig into the scheduled programming so you don't have to waste any time searching for what to do. You will spend enough time waiting in queue lines so you want to take full advantage of any time you do have when not waiting for a speaker room to open up. I'm just going to give you a list of my featured picks without going into a lot of detail. Otherwise this would be one crazy long blog post and if you're on dial-up, the ECCC might be over by the time this page loads and no one wants that to happen! Wait a minute...are any of you still using dial-up internet? Seriously?! 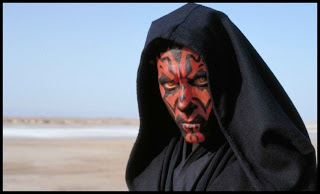 RAY PARK - SNAKE EYES SPEAKS! 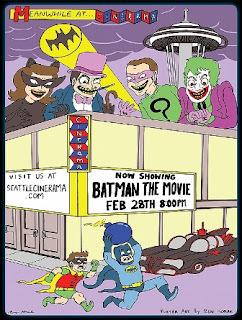 A Gotham Night in the Emerald City! 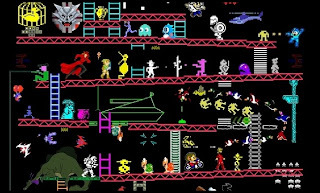 ECCC ElecTRONica Retro Arcade Party! Open all three days on the show floor! 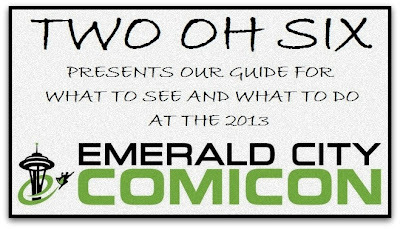 Hopefully this guide will help you make the most of your ECCC experience and don't forget about the celebrity autograph and photo opportunities during all three days. 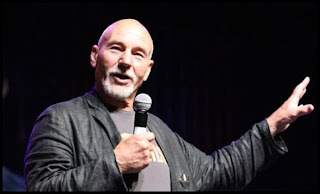 To see more information on the entire event, you can visit the Emerald City Comicon website HERE.